The future is finally here. 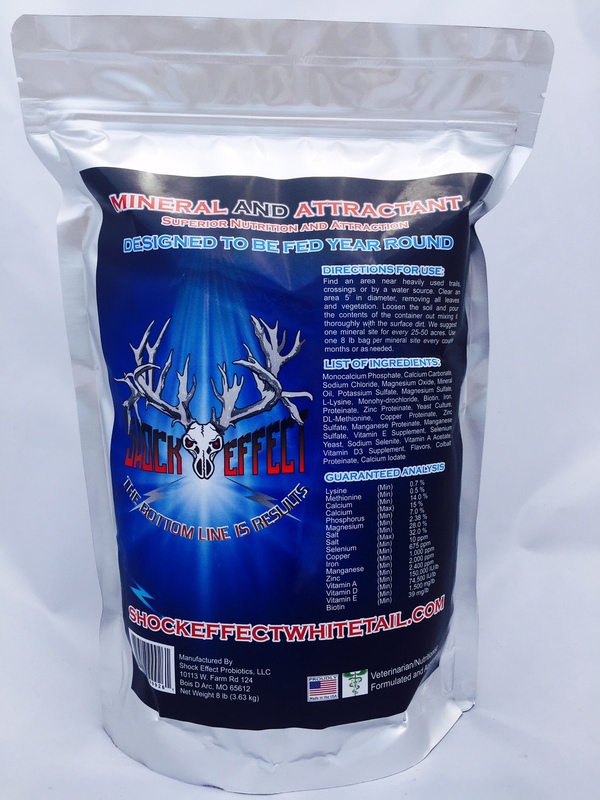 This product is the first of its kind and will change the way we feed our whitetails forever. The Antler Maximizer is not a mineral. It is a combination of beneficial bacteria (probiotic), amino acids, enzymes, vitamins, minerals and other digestive aids. It is designed specifically to help support antler growth and help maintain overall body condition. The secret is in the bacteria. We use a micro-encapsulation process to help protect the beneficial bacteria as they are ingested. The next step is the antler growth itself. Minerals are needed but when a buck is growing his antlers it’s all about the blood flow. The amino acids support an increase in the blood flow and expand the blood vessels in the antler. In our test facility if we let the bucks grow their antlers half way out and start the Antler Maximizer supplement you can physically see the antlers turning darker from the improved blood flow after only about three weeks. It’s amazing! We have designed this supplement to be used in conjunction with a quality feed program. In addition, this particular product is the No. 1 antler maximizing product being used in the whitetail breeding world. Over the last decade Shock Effect products have been consistently used in producing world’s largest bucks and carries a 98% customer satisfaction rating. Directions: Mix 1 lb of the Antler Maximizing Powder with you favorite supplement feed program or mix 1 lb with 100 lbs of corn and 100 lbs of roasted soy bean. This combination will be around 22% protein, 12% fat and is extremely palatable. Always check your local and state laws on supplemental feeding. Coral Calcium/Chelated Mineral Pellets 25lb. Coral Calcium/Chelated Mineral Pellets 10lb.